The electric coil stovetops most commonly have four or five burners with a drip pan beneath to catch any spills or food. 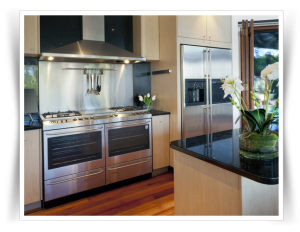 These cooktops are available in many different colors, and are one of the most inexpensive types of stoves available. 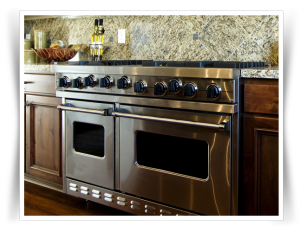 The most common problem these cooktops run into include coils failing to heat, damaged coils, loose coils or the inability to adjust the heat of the coil; all of which can be repaired with our talented team here at Appliance Repair Cleveland. The electric smoothtop is a more luxurious stovetop that was made for easy cleaning. It provides radiant heat through elements which are built underneath the ceramic glass. Many homeowners love these types of stoves because they’re easy to use, easy to clean and cool down quickly. 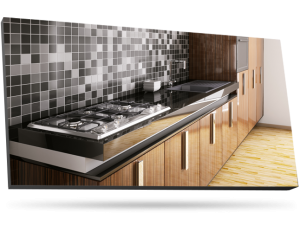 They also cook foods and liquids more rapidly in comparison to other cooktops available. The most common repair needed on electric smoothtops include the surface element not heating, the surface element heats too high, surface element only gets warm or the hot surface indicator light stays on even when the surface has cooled. To have all of your electric smoothtop repairs completed quickly and efficiently, call our stovetop professionals here in Cleveland. Induction stoves are becoming more and more popular. They stay cooler than the traditional conventional cooktops because the stove only heats up when there are contents cooking. Additionally, there are no radiant heating elements within an induction stove. These stoves are the most energy efficient you can purchase and they’re the fastest at boiling water and cooking your favorite foods. Both gas and electric induction stoves may be ordered. The most common repair homeowners experience is problems setting up their stove, and having the cooktop shut off during food preparation. If you’re experiencing these issues, give our repair technicians a call! Gas stoves are becoming more and more popular and are being looked at a highly luxurious piece to a satisfying kitchen. They most commonly have four burners with a visible cooking flame. Cooking on open flame cooktops offer precise and fast heating. Plus, with open burners they’re one of the most sought after cooktop because their quick heat up and cool down abilities. The downfall is that gas cooktops must have a propane or natural gas source in addition to a 120-volt household circuit in order to operate. The most common gas stove problem homeowners run into is that the burners won’t light or the oven won’t heat. 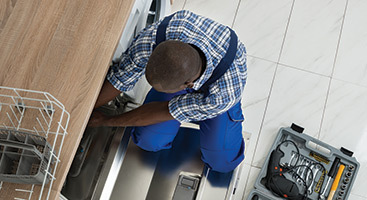 These Problems are an easy fix for our experience stove repair technicians. Give us a call today to let us help! If you want to have a flexible cooktop, a modular stove is what you need. The benefit you’ll get with a modular stove is that you can switch out the stove tops from traditional round heating elements to a griddle or any other style cooking assembly you want. You can enjoy cooking food in pots and pans on any type of surface. You can purchase a modular stove in both electric and gas models. Because modular stoves are so unique, their repairs vary. 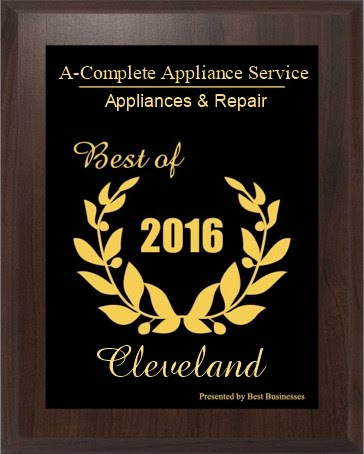 Regardless, if you’re having an issue with your modular stove, give Appliance Repair Cleveland a call today! 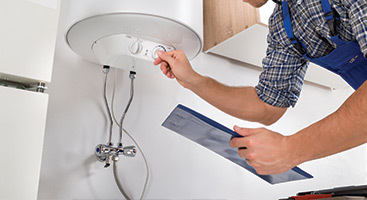 Stoves are finicky and when something goes wrong, it’s better to have a professional complete a repair. Go ahead and give our incredible team of appliance repair technicians a call if you are experiencing a problem regarding your stovetop. To learn more about the brands we repair, visit us online here. 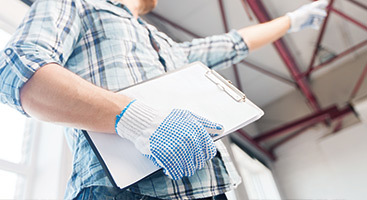 If you aren’t sure you need a technician for a repair, don’t hesitate to give us a call. We proudly serve Cleveland and its surrounding areas, including Shaker Heights, Moorland Hills and Pepper Pike. Why are you waiting? Enjoy cooking your favorite meals as soon as possible and schedule an appointment online now!